Dubai, UAE, May 30, 2018: Colombia’s World No.14 Miguel Angel Rodriguez cannot wait to return to Dubai when the ATCO PSA World Series Finals light up the Emirates Golf Club from June 5-9. 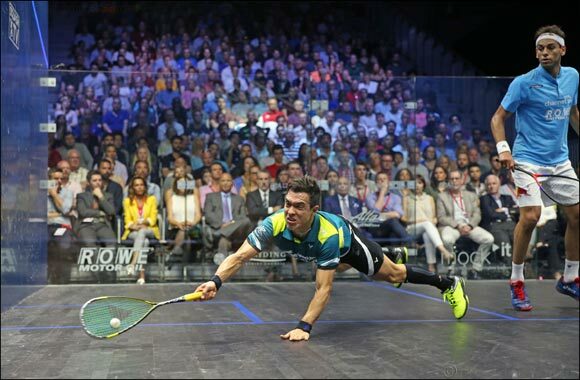 The 32-year-old is currently in the form of his life after claiming his first ever World Series title at the prestigious Allam British Open, when he defeated World No.1 Mohamed ElShorbagy to make history by becoming the first winner from South America. “I remember Thierry Lincou and Amr Shabana playing that tournament and when I was a kid the dream was to play the World Series Finals. The tournament also features a unique best of three format throughout the group stages before reverting to the traditional best of five for the semi-finals and final and Rodriguez is looking forward to the change. Rodriguez has been drawn in Group A and will face Egypt’s reigning World Champion Mohamed ElShorbagy on day one at 20:45.